When you’re struggling with social anxiety, you never imagined that you’ll be blessed with any relationships in your lifetime. Just when you have given up all hopes, Cupid decided to mess things up and puts you into one. And when your other half turned out to be a social butterfly, you’re torn between rejoicing and dread. But you believe that love would persevere and held on to that belief. As soon as the honeymoon period is over and both of you are back on solid ground, you knew that it will take much work for the relationship to work. When the first crack appeared in what you presumed a match made in heaven, you pray that issues are only temporary and swept them under the carpet in denial. In reality, social anxiety could cause a slow death to many seemingly positive relationships. If you’re thinking getting into a relationship is tough, preserving them is even tougher. Communication is vital to maintaining a healthy relationship. When the communication channel is disrupted, it’s only a matter of time before cracks turned into massive chasms in a relationship. When you have attempted a few relationships and they end up the wrong way, you may want to pay attention to these few concerns. 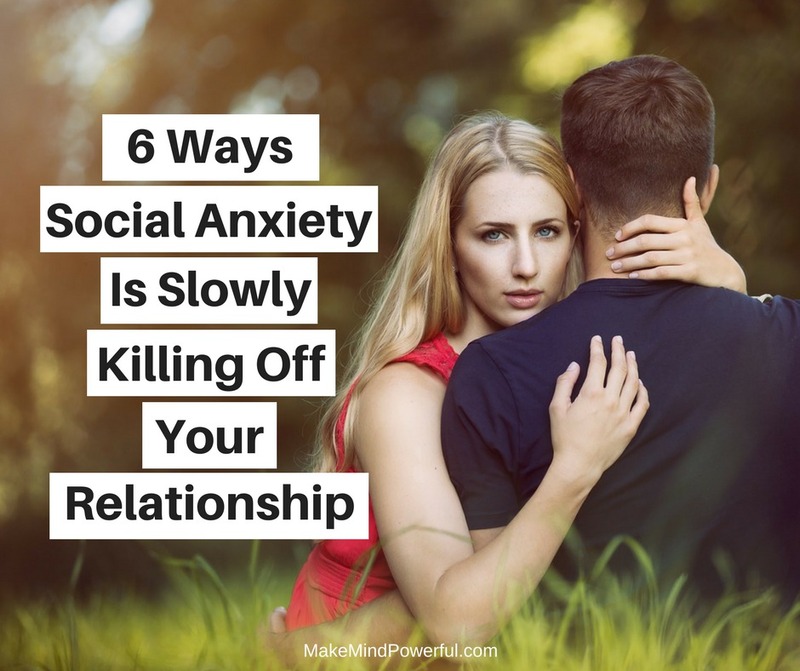 With social anxiety, your low self-esteem causes you to feel unworthy of receiving any form of fulfillment from your partner. This creates an imbalance in your relationship that will soon develop into resentments. Arguments are part and parcel of a relationship. But when you’re socially anxious, you avoid argument at all cost, because you fear it will lead to the break-up of the relationship. Well, it won’t. If a relationship disintegrates that fast, it meant something is very wrong fundamentally. Avoiding argument may give you peace in the short term, but too many unresolved conflicts will hurt your relationship in the long run. What you need to understand is that argument is a form of communication. When you learn how to argue the right way, you’ll find that your relationship will strengthen. Arguing doesn’t mean calling names and making personal attacks. It means reaching a middle ground with your partner in a respectful manner. When you’ve spent years hiding in your protective shell, it’s hard to show affection to your partner. You worried if you will appear silly when you show affection Or how others might think of you if you show affection in public. Unless you’ve communicated your concern to your partner properly, this may cause misunderstanding on both sides. Even if it doesn’t, lack of affection could cause a slow decline in the quality of your relationship. Subconsciously, we perceive affections as a sign of interest from a partner. That’s one of the fundamentals of attraction between human beings as lovers. And it does not necessarily be physical. When was the last time you send a hand-written card to your partner? In fairy tales, marriage is the bonding of two people. In reality, most marriage involves getting on with family and friends of your partner. If you’re lucky, you attend family gatherings once or twice a year, else you have the weekly meetups to contend with. Each of the gatherings requires preparing yourself mentally and emotionally, as you wouldn’t want to embarrass your partner with your lack of social skill. Chances are you’ll probably mess up in a few conversations and stop participating. You’ll be the odd one out. And in some cases, you’ll come across as rude and disrespectful. Even if your partner is understanding, this may cause a strain in your relationship further down the road. When you lack self-esteem, you seek validation from your partner to boost your confidence. While it’s normal to seek that ego boost once in a while, overdoing this can make staying in a relationship very exhausting. A clingy relationship will become toxic eventually. Being clingy will lead to you losing your self-identity. It dulls the quality that attracted your partner in the first place. You cease to be attractive. it’s like sucking away all the positive energy in a relationship. It’s only a matter of time before it disintegrates. 6. You’re Afraid To Be Vulnerable. One of the common causes of social anxiety is bullying. When you went through such traumatic incidence, you lost trust in people. Even when you met someone you love, it can be extremely difficult to let go of your emotional armor and be vulnerable. Sometimes it takes years before it happens. That’s why it’s hard to love a person with social anxiety. Trust is the cornerstone of a long-lasting relationship. Being vulnerable is the most powerful sign of trust and vice versa. There’s nothing more heartbreaking than losing a relationship because you’re too afraid to open up. Because sharing the deepest, darkest secrets between two souls is the most powerful bond you can forge. How To Prevent Social Anxiety From Ruining Your Relationship? I wish reading a few relationships help book or counseling would help. It won’t. Because the problem lies in social anxiety itself. It is about your self-esteem, confidence and how you react to interaction. I am confident in saying so because what I’ve written above are not copy-pasted from other articles, but from my personal experience of a broken marriage. The solution lies in beating social anxiety and blasting it off from your life. Can it be done? Obviously yes, but not easy. With social anxiety out of your system, you are no longer the ‘old you’. That means you think, speak and act differently. You will attract new relationships that are healthy. And that’s because of the new found confidence that makes you an excellent communicator in your relationship. 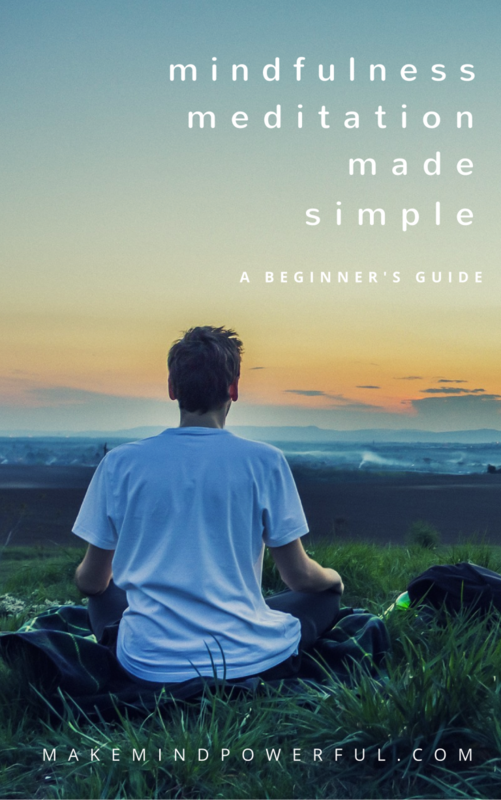 I’m sharing the steps that I’ve gone through in overcoming my social anxiety in a series of email. Here’s the sign-up link if you’re interested. How has social anxiety affects your relationship? Share your story in the comment below. Kenny, this is a great article on social anxiety, I’m sorry to hear that you had a broken marriage as a result of social anxiety. But I’m glad to hear that you were able to eventually overcome it. I always try to shy away from arguments whenever possible. However, you made a great point when you stated that too many unresolved conflicts will hurt your relationship in the long run. Do you feel as though you’re living a more fulfilling life since you’ve overcome your social anxiety? Definitely life has been better once I managed to get rid of social anxiety. For instance, I found myself enjoy being an emcee, which was unimaginable a few years ago. Thank you for shedding light on this. I too suffer from social anxiety. I have been labeled as “stuck up” or “bitchy” even “standoffish”. It is always a struggle and you are so right about seeming rude or being too clingy with my date (my husband) at events. A lot of times he goes alone. By some stroke of luck, he accepts this about me. But it does affect all sorts of relationships in different ways. I’m so glad you were able to overcome. That’s what is so strange. I can do public speaking, I can stand up and sink karaoke, but put in at a party where you have to mingle and I’m gonna shut down. It’s more personal, I suppose. Either way, I’m a work in progress. I’m happy to meet you and learn about your journey as well! I think the effect of social anxiety varies. Speaking to strangers is the first part that I got used to but it wasn’t years later that I managed to public speak. I’m glad you have an understanding partner. This is a great read. I truly believe anxiety is one of the biggest killers of relationships. The craziest part is that it only takes a couple changes to completely turn an entire relationship around. It is something that we all should be working on all the time since most of us have anxiety in some way or another. Thanks for sharing your thoughts. Indeed anxiety can shut down relationships. This, I truly believe, is one of the biggest killers of relationships. It’s unreal how common it is, and it only takes minor changes to turn an entire relationship around. Great read! Thanks for reading and sharing your thoughts. Sometimes little things make the biggest impact in relationships. Thank you for this helpful advice! It is good to be aware of social anxiety and correct it as soon as possible. Like you said, it kills relationships. I appreciate the way you define an argument. Arguments are healthy in a relationship. They shouldn’t ever mean that the relationship is about to end. Everyone disagrees with something, but that doesn’t mean they can’t still get along. I’m a very shy and self-conscious person so I have to work extra hard when I go to social gatherings. I don’t do well talking in big groups. I prefer one on one conversations. It’s easier for me to open up. But I also like to be pushed out of my comfort-zone even if it takes me a while. I think a lot of my social anxiety comes from being made fun of a lot in school. I felt like I couldn’t say anything without having someone making fun of me. So, I simply didn’t talk a lot. But, over time, I chose to forgive those who wronged me and was able to move on. Thank you for sharing this advice from your personal experiences! In a sense, I can relate to getting out of your comfort zone despite struggling with social anxiety. That’s how I ended starting a business at the height of it. When you survive and end up on the other side, you’ll be much more stronger. I wish you great strength in conquering your own anxiety. I completely agree with this post. Social anxiety is a major problem with relationships. My last relationship definitely suffered from this, I was with someone who wanted to stay in all the time and wanted me to get a job where I could work from home so I wasn’t around as many guys. Needless to say there were more issues than just social anxiety there but I truly can’t stress enough how true these points are. Thank you for pointing these situations out! Hiding your emotions is much worse than bringing them up because they will become way more intense over time. Social anxiety can be tough to deal with. It makes someone insecure. Thanks for sharing your experience here. Social anxiety is serious topic that needs to be addressed and this article does that beautifully. It’s mentions all the relevant traits a person might show, which I believe helps others better understand this problem and show support to their significant other through the recovery process.What some people might interpret as being introvert, rude or shy as a part of someone’s personality might actually hide a deeper struggle a loved one might be going through that we know nothing about.